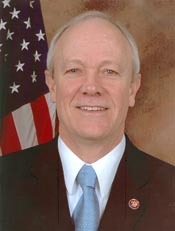 McNERNEY, Jerry, a Representative from California; born in Albuquerque, Bernalillo County, N. Mex., June 18, 1951; attended the United States Military Academy, West Point, N.Y., 1969-1971; B.S., University of New Mexico, Albuquerque, N. Mex., 1973; M.S., University of New Mexico, Albuquerque, N. Mex., 1975; Ph.D., University of New Mexico, Albuquerque, N. Mex., 1981; engineer; business owner; unsuccessful candidate for election to the One Hundred Ninth Congress in 2004; elected as a Democrat to the One Hundred Tenth and to the six succeeding Congresses (January 3, 2007-present).